As far as I know EMD's GP20 was the only model Geep in which some units (such as no. 408) were built with a sloped low nose. 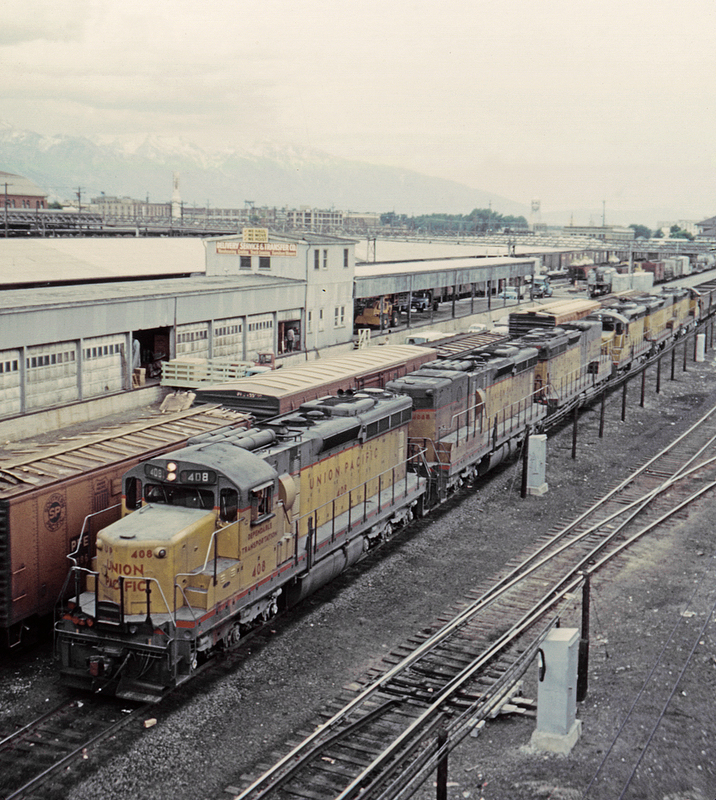 The Union Pacific was also a heavy user at this time of cabless GP B-units, with at least three visible in this particular consist, seen at the UP's Salt Lake City depot on its former Oregon Short Line. The tracks in the foreground are part of the Denver & Rio Grande Western's Salt Lake City-Ogden main.